The Supreme Court issued a sharp rebuke to Texas on Monday, ruling 5 to 3 that two regulations on abortion providers place an unconstitutional burden on women seeking to end their pregnancies. In short, Texas lost because the Court asked for evidence that the provisions in Texas House Bill 2—one requiring abortion providers to have admitting privileges at local hospitals, the other that all abortions, even those induced by pill, take place in expensive surgical centers—would actually improve the health and well-being of Texas women; the state came up empty-handed. The implications are remarkable: If courts have to consider medical evidence when weighing abortion restrictions, rather than simply deferring to claims made by state legislators, then the legal basis for a number of other anti-abortion laws purported to be health and safety measures looks dramatically weakened. At the same time, the Court found that both rules amount to “a substantial obstacle” to women seeking abortions. After the admitting-privileges provision went into affect in 2013, the number of clinics in Texas providing abortions dropped by almost half. Those closures, Breyer wrote, “meant fewer doctors, longer waiting times, and increased crowding.” If the surgical-center mandate had been enacted, fewer than 10 clinics would have been able to stay open to serve the 5.4 million women in Texas who are of reproductive age. While supporters of the regulations insisted that the remaining clinics could scale up their services to compensate for other clinic closures, it would have required them to increase capacity by a factor of five. “More fundamentally, in the face of no threat to women’s health, Texas seeks to force women to travel long distances to get abortions in crammed-to-capacity superfacilities,” Breyer wrote. "In the face of no threat to women’s health, Texas seeks to force women to travel long distances to get abortions in crammed-to-capacity superfacilities." In a brief concurring opinion, Justice Ruth Bader Ginsburg tore into Texas’ claim that regulations were meant to protect women’s health. Instead, she argued, they may actually endanger women by forcing them to seek out unsafe alternatives to licensed providers. Ginsburg noted that childbirth and many other medical procedures that are more dangerous than abortion do not face similar regulatory hurdles. “Given those realities, it is beyond rational belief that HB2 could genuinely protect the health of women, and certain that the law ‘would simply make it more difficult for them to obtain abortions,’” she wrote, quoting a ruling against similar abortion restrictions in Wisconsin. “When a state severely limits access to safe and legal procedures, women in desperate circumstances may resort to unlicensed rogue practitioners, faute de mieux, at great risk to their health and safety,” she wrote. The ruling leaves a patchwork of abortion laws across the country. Twenty-six other states, predominantly in the South and Midwest, have approved admitting-privileges or ambulatory-surgical-center laws, and the ruling in the Texas case means all of those laws will probably be struck down as unconstitutional. The more complicated question is whether the ruling can be used to challenge other types of abortion restrictions, such as mandatory waiting periods. Nancy Northup of the Center for Reproductive Rights told reporters that advocates are still evaluating how broadly the ruling may apply. But the idea that courts should weigh the medical justification of such laws—as defined by medical professionals, not legislators—against the burden they impose is indisputably a powerful one. According to the anti-choice movement, the dangers of abortion range from depression to breast cancer. These pseudoscientific claims, which range from distorted to entirely untrue, are commonly heard in the public debate about abortion, and they’ve increasingly found their way into legislation. Most recently, in March, lawmakers in Utah passed a law requiring abortion providers to administer painkillers to fetuses before terminating a pregnancy after 20 weeks, despite there being no standard, approved procedure for doing so, nor evidence that fetuses can feel pain at any time in the window that abortion is legal. 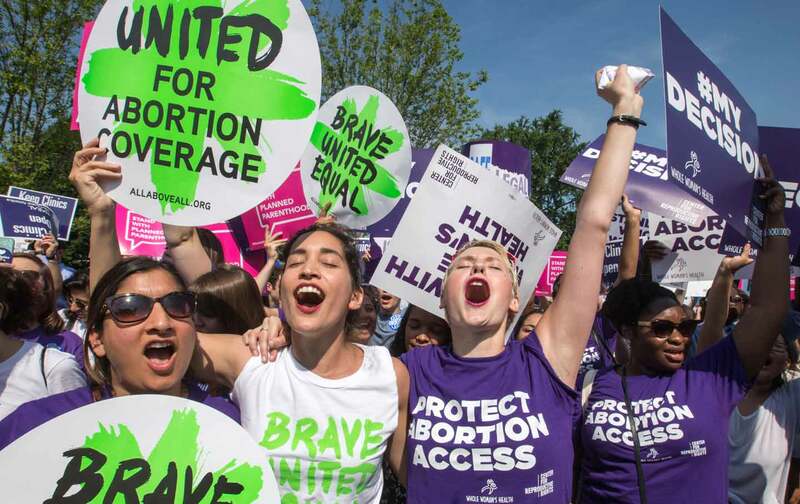 If Monday’s ruling does prompt courts to demand a medical rationale for these kinds of laws whenever they pose a substantial obstacle to access, it could make the anti-choice effort to regulate providers out of existence much, much more difficult. Listen to Zoë Carpenter talk about the Supreme Court abortion rights decision on this week’s Start Making Sense podcast.